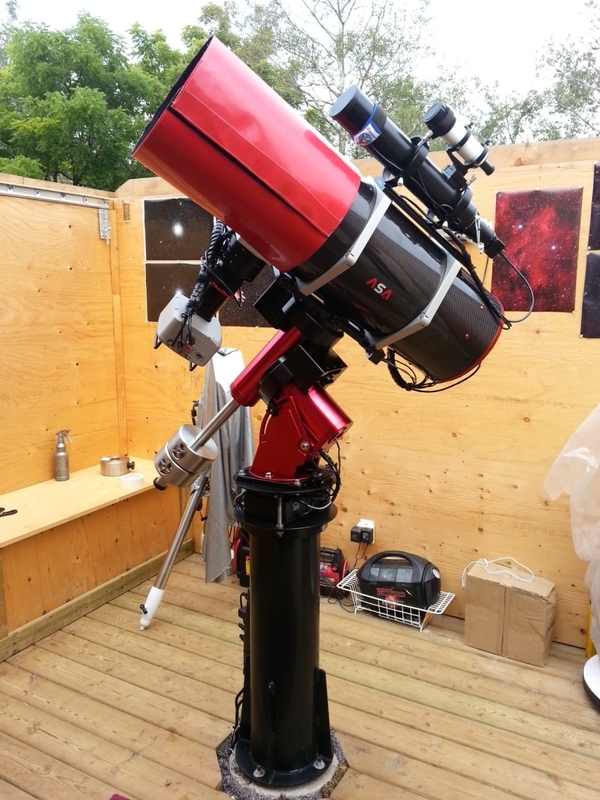 In September 2013, I installed a Paramount MX in my observatory, and mounted my 10″ ASA Newtonian reflector on it. 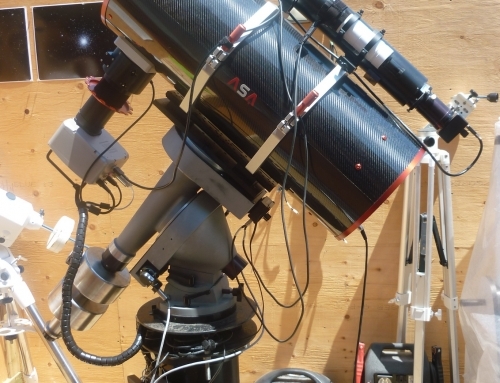 The camera is an SBIG STL-11000, fitted with HA and LRGB filters from Baader. 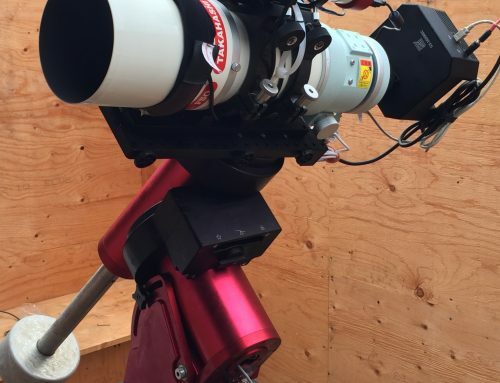 The ASA telescope operates at 900 mm (f/3.6) or 1700 mm (f/6.8). Riding atop the main scope is a 400mm guide scope, and a small white visual finder. The Paramount MX mount is controlled with TheSkyX software. I use CCD Commander to automate imaging. 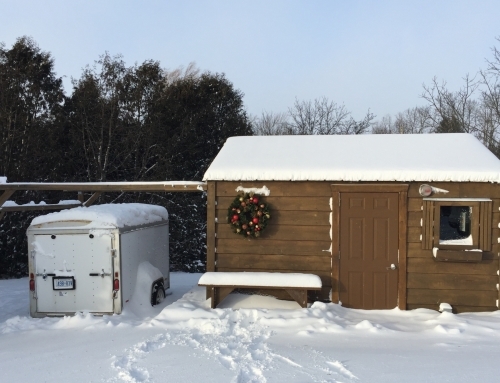 The dew/light shield is home made, using one of my kids’ snow sliders. I lined it with heavy felt and sewed velcro down the edges.